Gulla Podi is a very popular snack/sidedish. 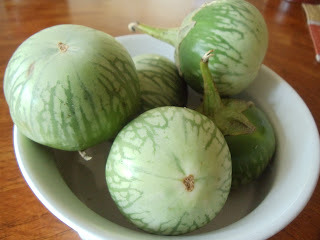 Goola means green brinjal in konkani. These podis can be made within 15-20 minutes and also very healthy. It tasted so good that it vanished within few seconds, as soon as it was done!! Brinjal haters need to try this! Wash the brinjals and remove the stalk. Slice the brinjals carefully and put it in a bowl containing water. This helps in prevention of blackening of the brinjal. Now discard the water. 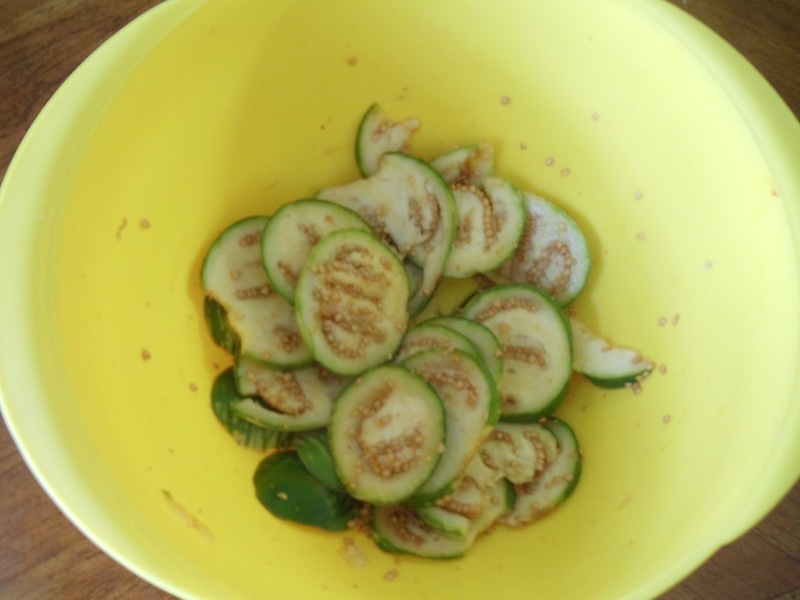 The brinjal slices should be completely dry (use a towel or paper towel to remove the remaining moisture). Now add salt, red chilli powder and asafoetida and mix well. Let it sit for 10 minutes. 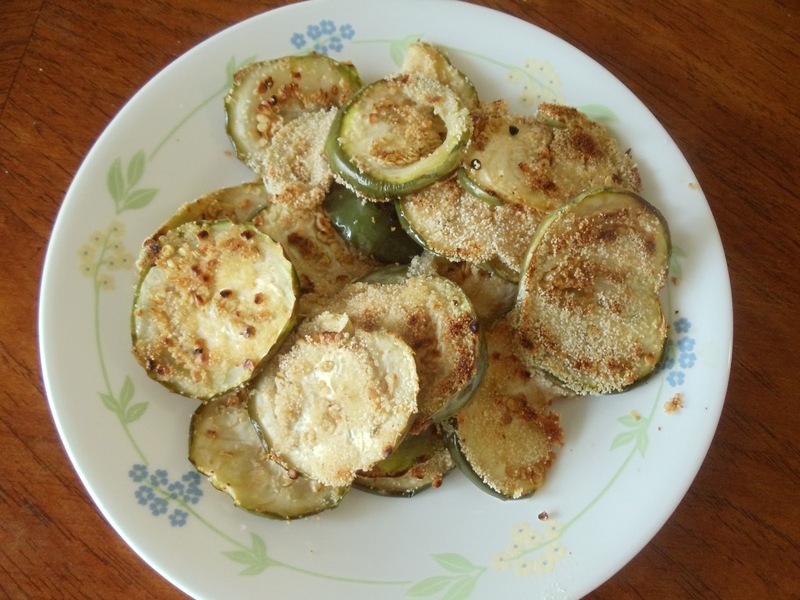 Now dip each slice of brinjal (on both sides) in semolina and start placing it on a heated tawa. Repeat this for other slices. 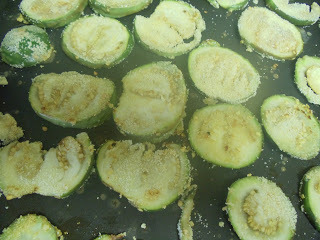 Add little oil from the top on each slice. Cook it on medium flame until it turns golden brown and repeat the same for the other side. 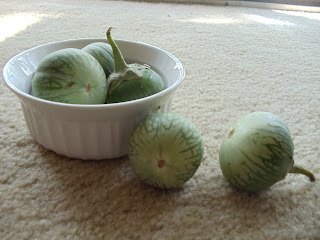 Serve it as a side dish for rice or eat it as it is. Above measurement serves 1-2 people.